When we were asked by Zoe and Max to photograph their wedding at Silchester House, near Reading, we were delighted. It’s a venue we had been wanting to photograph as for some time; although we are best known as Oxfordshire Wedding Photographers, we do also work all around the Thames Valley and further afield. We had heard great things about Silchester House as a venue. 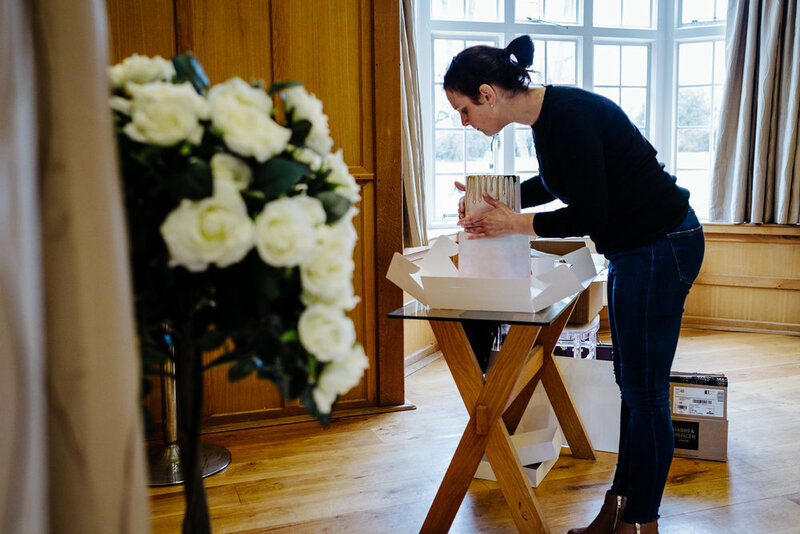 It was one of the first country houses to be licensed for wedding ceremonies, and looking back on the day from our perspective as wedding photographers, the venues staff clearly understood how to make the day a success. With an efficient but not controlling team, a nice light ceremony room, lovely grounds and plenty of space for guests to mix, we loved photographing there. Our day began as usual with Samantha photographing Zoe’s bridal preparation, whilst I took some location photos of the venue. Next, I moved to photograph the groom and groomsmen preparation; as this normally takes a bit less time than the bride, so I was soon able to move down to photograph the arrival of the guests. During the ceremony, I was able to photograph the ceremony from the front and to the side, whilst Samantha captured events from the back of the room with our new Fuji X-H1 camera. After a colourful confetti run, the bride and groom had plenty of time for drinks and nibbles, and to listen to the brides brother playing songs on the guitar, before sitting down to their wedding breakfast. After some amusing speeches, Zoe and Max cut the amazing cake made by Zoe's sister, before their first dance, and lots of partying. Zoe and Max's wedding was an absolute pleasure to photograph, and thanks for both of them for letting us be their wedding photographers for their special day. Below is a small sample of images from their special day. 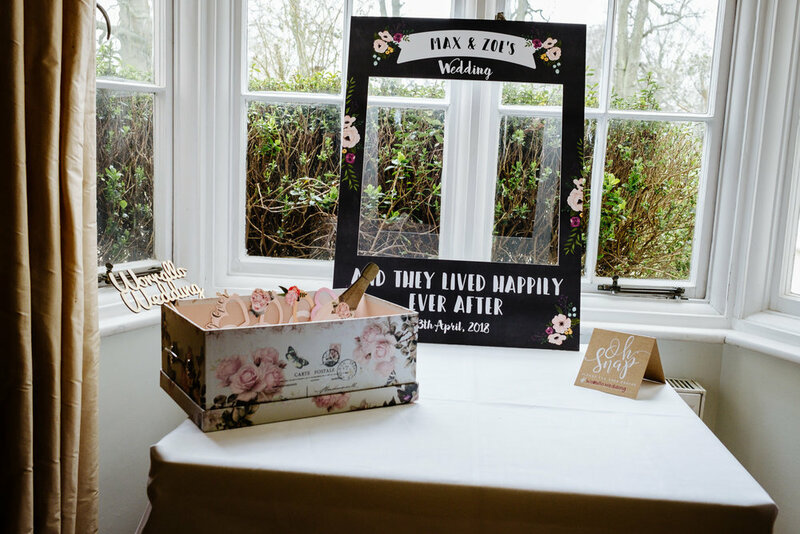 We hope you enjoyed looking at Zoe and Max's Silchester House Wedding Photos. We'd love you to add some comments below or to share using the share function below. If you are looking for documentary style wedding photography at Silchester House we would love to hear from you, by contact us here.